Last Thursday (21st September), Story Contracting attended the National Rail Awards at Grosvenor House Hotel in London. 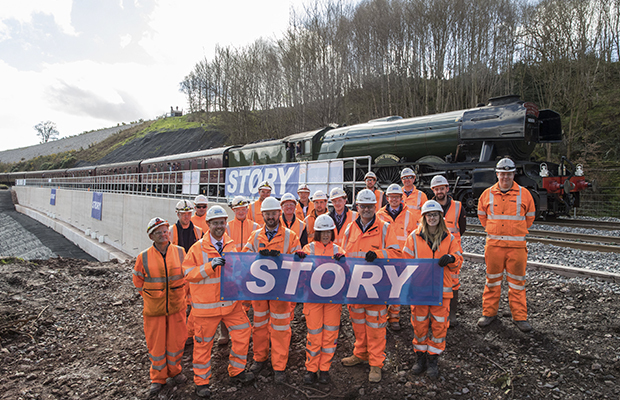 The works undertake by Story’s Rail division at Eden Brows, which enabled the Carlisle to Settle line to reopen earlier this year, were awarded ‘Highly Commended’ by the judging panel in the prestigious ‘Infrastructure Achievement of the Year’ category. Read all about the Eden Brows project here.